We transferred files into Adobe Audition and edited more exactly there. It was awesome. 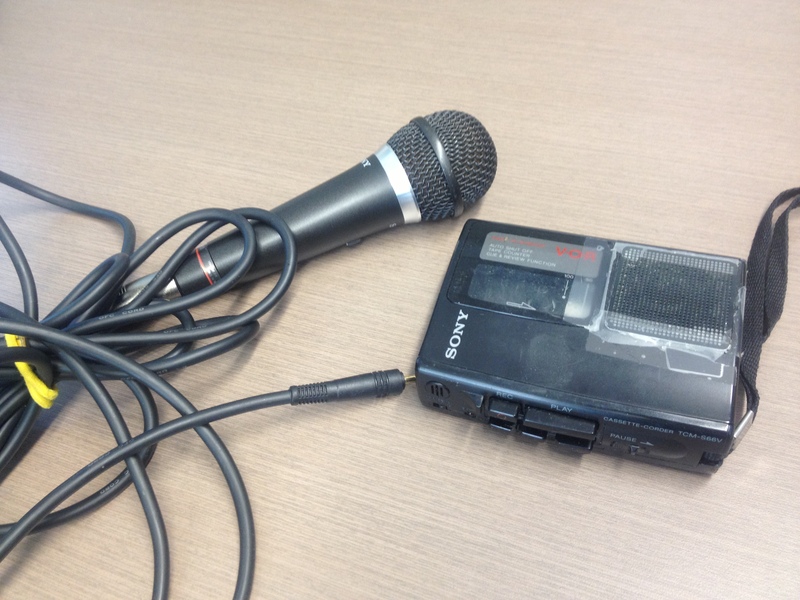 These days students are asked to buy a digital recorder that can record .wma and .mp3 files (for the web, they use the .mp3 files, in radio, they work with the higher-quality .wma files. 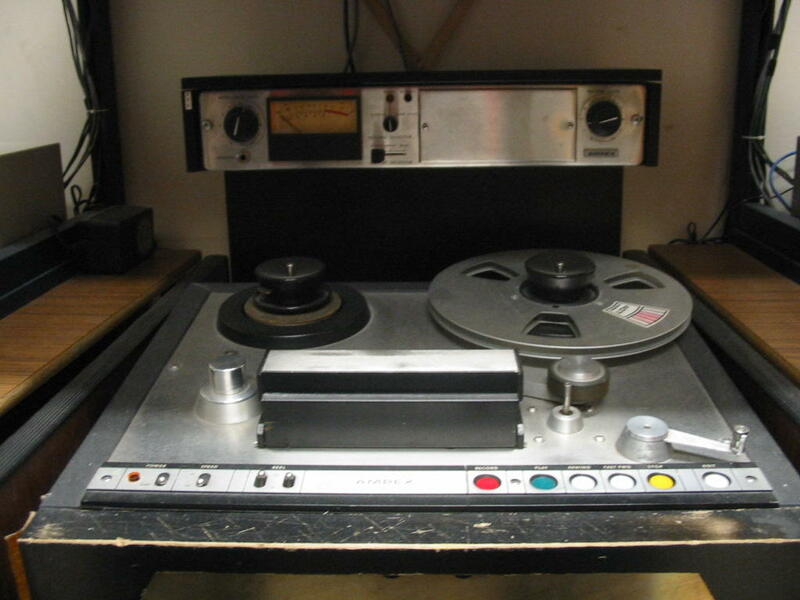 As I work on my fellowship research, I’d like to record some of my interviews for playback, and to post on this blog. But I’m also cheap, so I wasn’t really keen to drop the cash on the Olympus recorder the school recommends. 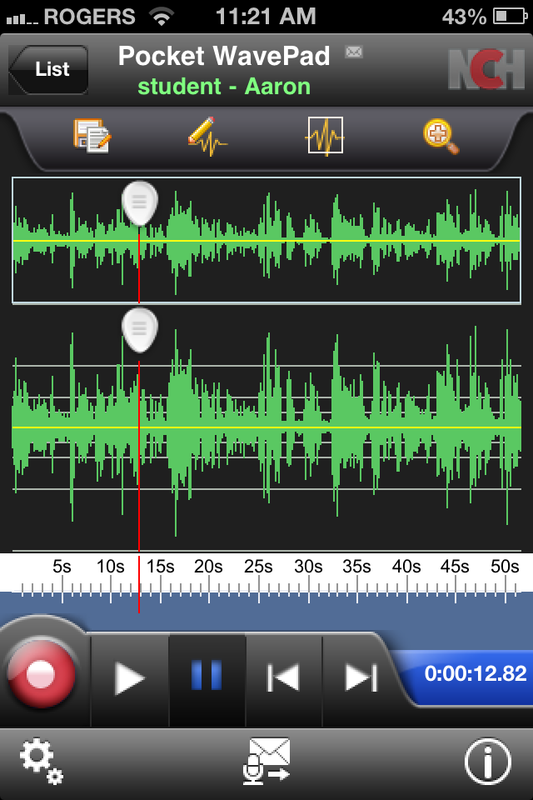 The editing view of the Wavepad iPhone app. The answer was an iPhone app. I found the Pocket Wavepad HD app in iTunes – a free app, even better! It allows me to record and edit sound as an .mp3, .wma, .aiff and transfer files in an email attachment. So far, it is awesome. I’m planning to buy a lavalier microphone for sit-down interviews. The downside of this free app is that it’s only available in iTunes. I asked the makers of the app, NCH Software, when an Android or Blackberry version of this app might be ready – they say an Android version is in the works, and should be ready soon. I haven’t used the editing mode much on the app. I prefer the larger screen, so I email the file to myself and edit in Audacity. Discovering this app got me thinking about the technological tools of the trade. Years ago reporters would need a separate device to take photos, record audio, shoot video…. today, I just need my phone. It’s a shift from using many one-use devices to one device with many applications. Got a great app you use for everyday journalism? Let me know about it.